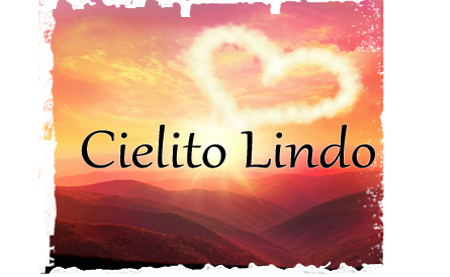 Cielito Lindo is a traditional Mexican song written by Quirino Mendoza y Cortes in 1882. It is one of the most popular songs widely known throughout the Spanish-speaking world as a symbol of Mexico. In recent years it has become an unofficial national anthem for Mexicans, sung as a sign of unity. It is sung spontaneously in sports games as well as protests and every kind of gathering where love for Mexico is expressed. Because by singing our hearts are happy, lovely heaven. lovely heaven, it will be well deserved. lovely heaven, for it is mine. lovely heaven, he has stricken me.